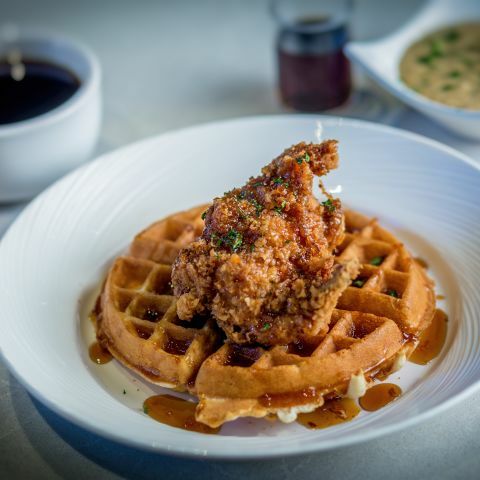 With live music, brunch favorites, and morning cocktails - Sunday brunch never looked so good! Jacks Monterey serves up Sunday morning favorites including Ricotta Cheese Blintzes, California Benedicts, Carl's Skillet Fried Chicken and Waffles, Brioche French Toast, and more. In addition to Executive Chef, Danny Abbruzzese’ s sustainably sourced menu enjoy a cocktail or two from Jacks Booze Buggy Beverage Cart serving up Bloody Mary’s, Mimosas, Screwdrivers, and more! Live music will fill the lower atrium from 11:30am until 2:30pm. The guest list of local live music artist will vary from Sunday to Sunday and include David Conley, Taylor Rae, and Austin Metreyeon to name a few.